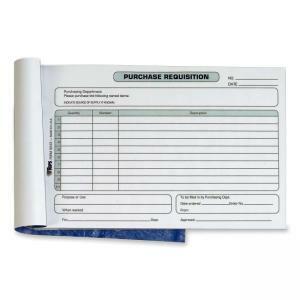 Purchase requisition forms are designed to request outside purchases. Form design allows a list of up to 10 itemized products with quantity, number and description. Design also offers spaces to fill in date, purpose or use, "when wanted," source of supply, department that needs the item and the approval signature. 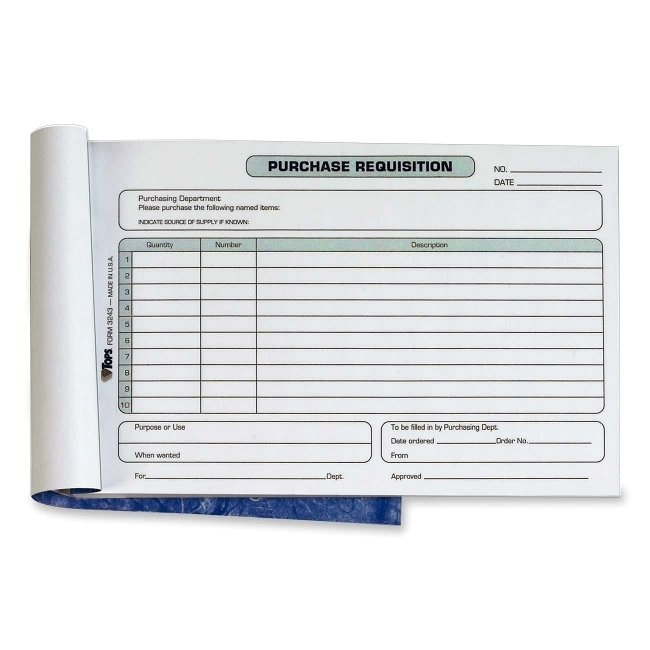 Form is printed in blue ink on white stock and punched for storage binder or fasteners. 100 sheets per pad.